Ginger is a Falco main currently ranked 3rd on the Michigan Melee Power Rankings and 40th on the 2018 MPGR. He is notable for unexpectedly defeating Druggedfox at The Big House 5 in Winner's Semis of Round 1 Pools. He has also eliminated Westballz at The Big House 7 and beaten Axe at Full Bloom 4. After his breakout performances in 2017, Ginger became an active Twitch streamer and is known for playing high level Anther's Ladder matches and for his catchphrase "zoinks" on stream. He has also been nicknamed the "SFAT of Falco" due to his extremely orthodox play style. 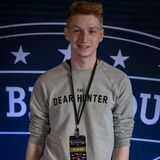 On February 25th, 2019, Ginger announced that he parted ways with Balance Gaming. ↑ Ginger announces his departure from Balance Gaming.. This page was last edited on April 21, 2019, at 23:33.